I smooth chocolate finish is a good sign on sliprings so I left well alone there. from all contact brush residue, you can either rotate the slip ring located at the top with 6mm alan key to rotate the slip ring to enable cleaning proses, then rotate back into place and replace alan key, no problem at all. I used to maintain a lot of dynamos here on scoraig in the 1980s and the best finish for the communtator (also approved of in the manual for the machines) was a chocolate colour. A bright finish usually indicated spark erosion. The dynamo manual suggested cleaning any roughness off with extremely fine sandpaper and removing all sand afterwards. By all means clean off all grease, but a smooth chocolate-coloured patina is ideal in my view. WD 40 leaves a greasy residue so I would not use that personally. 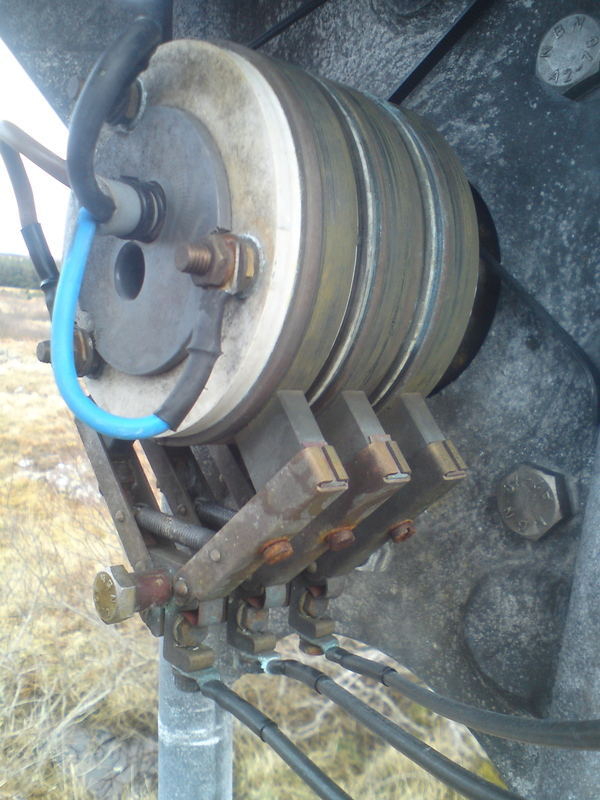 Proven have always told us to use WD40 and wire wool to clean the slip-rings annually – is this wrong? We find that they are black quite often and clean them is a bit of a hassle to be honest!